Once you have registered an additional domain name and pointed the new domain’s DNS to your current account’s nameservers, you can add it onto your existing Doteasy Unlimited or Doteasy Business hosting plan using the Aliases function in cPanel. 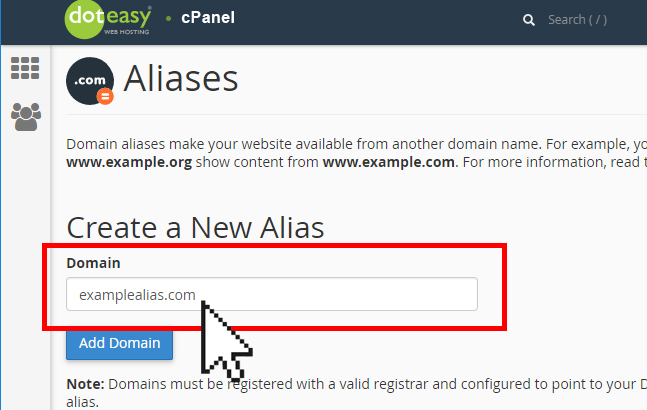 Click Alias under Domains in cPanel. Under Create a New Alias, enter the domain name in the Domain field.